The purpose behind Chronicles of Darkness is to enable the game lines of the first World of Darkness that started in 1991 and the New World of Darkness that started in 2004, to coexist as distinct and different settings. Onyx Path‘s ongoing publication of the 2nd Edition core books has already evolved the Chronicles of Darkness game lines into their own unique settings, and this change in the overall title will allow our creative teams to further explore these game lines’ own themes and tone. The Chronicles of Darkness Rulebook Advance PDF is now on sale at DriveThruRPG.com. End of the day, this is a Change, and a lot of folks fear change. But let’s look at that, for a second. We at Onyx Path were already changing things with the 2nd Editions. We were pulling the nWoD lines away from their antecedents and giving them distinct identities that played to the strengths of these lines. We provided, and continue to provide, each line with a bit more connected story in the form of built-in chronicles, to further emphasize the qualities of the settings, but not a massive overarching meta-plot which is one of the weaknesses and/or strengths (depending on your point of view) of the classic World of Darkness. Ultimately, this change is actually a logical progression to getting these amazing Chronicles of Darkness lines out from the burden of their connection to their cWoD counterparts. Because, let’s face it, the cWoD/nWoD thing has always been awkward once you tried to explain why there were two of them but the second WoD wasn’t another edition but a whole ‘nother reimagining. Another WoD that enables equally awesome stories to be told but which has different rules and themes and overall tone. Nothing confusing there! Yeah, we who have been part of the end of cWoD and the birth of nWoD and then the rebirth of cWoD and a similar but different rebirth of nWoD with the 2nd Editions might be able to keep straight the lines. Sure, we’ve seen the thing happen. But on a creative level, they deserve to be distinct and different in order to grow as they need to. On a communication level we have found folks confused by which lines go with which WoD to the point of walking away as we try and explain. And on a licensing level, garnering interest outside our hobby has been a nightmare. One kind of Hollywood type has a 3.5 second attention span, by and large, and you have to hook them right away, while another type Googles everything as you’re talking. The first will be gone before you can explain the N in new WoD, and the second will find page after page of info that sounds similar but is different and is all coming up under World of Darkness. We at the original White Wolf ran into this problem in trying to grow nWoD, CCP ran smack into it when they tried to deal with it, and now the new White Wolf Publishing intends to give both sets of game lines room to grow taller and stronger than ever before. Change can be scary, but good change is exciting. ◀ Changeling: The Dreaming 20th Anniversary Deluxe Kickstarter is now live! I was expecting something kinda like this, personally. Just a name to get used to. I think we’ll cope. Woah! This is a really good name and really good move forward. Also indirectly clears a lot of questions regarding what will be the “One World of Darkness”. Looking forward to the new era. We probably won’t be going back to them for total rebranding unless the new White Wolf gets concerned about it. This is really for moving forward. Thanks! This is a promising change! Like many I had been worried that one or other of the Worlds of Darkness would be lost with the “One World of Darkness” initiative, but this is a great way to keep both lines alive but distinct. How this will be treated like now in new books? We haven’t done a rebranding for the other existing cores, yet, but may. Chronicler has a nice ring to it. And fits the GM (not G-M) role as 2e seems to envision it. System is the same, just the overall title has been changed. If I understand correctly, this Chronicles of Darkness rulebook does feature a lot of material from the first edition nWoD core rulebook and the God-Machine Chronicle. As such, will owners of both aforementioned rulebooks on DTRPG get a discount at some point for the Chronicles of Darkness rulebook? Great news on things staying done right, nice first xmas gift. For those of ud that have the rules update and 1e core, how much new stuff is in the new core? But seriously, good to to keep them seperate, and good to give them seperate names. I am confused about the implications for the classic World of Darkness, since it is not mentioned in your press release. Will you stop publishing stuff for the classic line? We are continuing to publish the 20th Anniversary lines for classic World of Darkness. The new White Wolf Publishing is going to be working on their one World of Darkness and so our plans for 4th Editions will now be subsumed into their efforts. No worries! Ah, so it kind of does feel like they have picked their pony. Glad that nWoD/CoD is being maintained because I feel the reimagining is so much better, but I guess with WoD media expansion it is going forward with oWoD. Yes, it is a simple fact that cWoD contains the widest reach and variety of audiences, like with Bloodlines, and the kind of huge connected storyline that CofD was originally designed specifically to minimize. This rebranding also offers CofD a legitimate independent identity for further licenses that it was never going to get as “that other WoD”. For a company that wants to enable licenses in other media, it’s a very smart direction. The fact that “Onyx Path Publishing” is now “White Wolf Publishing” is an Obfuscated elephant in the room. That’s news that is as important as the new name for the nWoD, because the publisher’s name change impacts the World of Darkness as much as the Chronicles of Darkness. In any case, I am minted for all of you, for the change of the name to “Chronicles of Darkness” and for the return of the name “White Wolf.” All the very best to all of you. uuum, I’m pretty sure that OPP and WWP are going to keep being distinct entities. Primarily because OPP has its own stuff in the works, like Pugmire. White Wolf Publishing, meanwhile, is an entity created wholecloth by Paradox. they might end up employing much of the same freelancers, but as it stands now they aren’t the same thing. That is, however, not a fact. Onyx Path Publishing remains Onyx Path Publishing. The owner of the WW properties that Onyx licenses the right for tabletop RPGs from changed from CCP to Paradox Interactive, and they reactivated White Wolf Publishing as a company name and spun it off separate. So now we license the rights to publish tabletop RPGs from White Wolf Publishing, which is not the original WW, but are pretty good guys. Not happy to see 4th EditionS in plural. I do not want to see the Werewolf 20th Anniversary gameline cancelled or cut short and replaced with a different post-Apocalypse 4th edition setting. The 20th Anniversary editions are on track with plenty of awesome new books in development. Changeling: the Dreaming 20th Anniversary Edition’s Kickstarter is going strong right now. This press release is about a rebranding of the “nWoD” and the new release of the Chronicles of Darkness PDF. I’m not sure why it would need to have information about a different game line in the press release. I did see some other information that the 20th lines will eventually be folded into White Wolf’s in house development with their unified meta. Mage has a whole game line’s worth of development in the pipe, but it does make me a little concerned about Wraith and Changeling long term. I’m still super excited about C20. I just hope when the dust settles the whole Changeling line is renewed. I also hope projects like Victorian Mage get off the ground in one production house or the other. Richt answered that question from another user. The following is me quoting him on this. That is the plan! Thanks! *sighs in relief* I’m ninety-nine percent sure that I predicted this very title at some point (based on the different Chronicle subtitles given the Second Edition games), but it was still worrying me that we may see the end of these lines and no further games for them. I’m grateful that this isn’t the case, and look forward to seeing what else comes down the pipe! Thank you for all your hard work, and I look forward to the future! You’ve chosen a slightly annoying new name, as it abbreviates to CoD which is going to be (even more) confusing forever. Obviously, we disagree. As with most things like this YMMV. What, because of Cash on Delivery? I mean, I know some people still use it, but it’s pretty uncommon nowadays. I think we’ll be OK.
That might be the dividing line: between folks who think Cash on Delivery and those who think Call of Duty. And some Icelanders who think cod? I love that fish! Personally, I intend to use ChroD as the abbreviation. If it works for you, cool! Part of something like this for us is to discover how people will actually use the title and work with that. I’m either going to call it “Bob” or “The growly-snarl-fangy-hiss-darky-dark-game-of-darkness”. Or, you know, “GSFHDDGoD”… I haven’t decided yet. I loved play testing Bob! I refuse to be bogged down by facts. Excellent News, will be getting the Chronicles of Darkness Advance PDF post-haste. Can’t wait for 2nd Ed Mage. Great news. Now can we please get a Chronicles of Darkness Online MMO? That would make thousands of people very happy and your company a lot of money. That would be really cool! Not Onyx Path’s thing to make happen, though. You know how much you are hurting me with that (not this weekend)? I’m this weekend preparing a new game (campaign) set in the dark ages ouch. Where is the hurt coming from? Gotcha. I need more hours in the day and then all will be well! As another backer, I’d be totally fine with getting the pre errata version and being able to help out! I woke up to my spouse telling me the news, and I’m still trying to process the news as I read it myself and wake up, but at the end of the day it’s just a name. I’m heading over to buy an advance copy of the Chronicles of Darkness Core Rulebook right now. Whoooo! Great minds and all that! Awesome, thanks! Oh god, that is so funny! I initially misunderstood the intent given the link I found saying “the new World of Darkness is no more.” I was concerned we were going to be losing one of my absolute favorite game settings as an evolving and growing world. I’m glad to see production will continue. Can’t wait to get my hands on more of your great work. Thanks so much for the years of great games. Doesn’t sound like one of our links, glad you found your way here! I fully expect to get an earful from some diehard fans of the original World of Darkness celebrating the “demise” of the “faux World of Darkness”. Whatever; if they can’t see what makes the Chronicles of Darkness special, it’s [i]their[/i] loss. 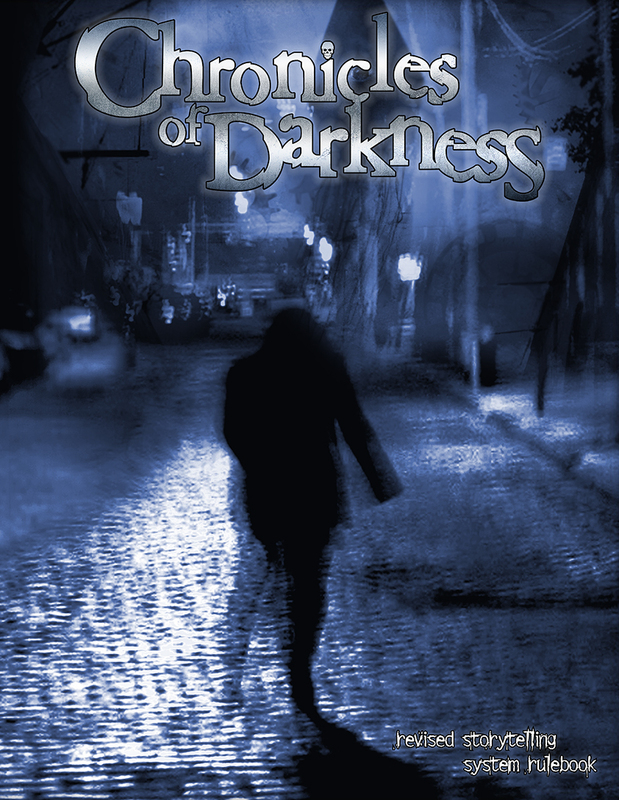 And frankly, “Chronicles of Darkness” suits the line far better than “World of Darkness” ever did. “What’s in a name?” I’m >really< happy for you guys since this looks a bit promising for you folks at OPP. But… awww, now I'll have to change my blog's name. Also, nwodday had such a nice ring to it. This is going to take some getting used to. But I think it’s going to prove a good change, and I’m glad the essence of the setting isn’t going to be messed with. If anything, this is a chance to throw off any remaining confusion or baggage from the first World Of Darkness games going forward. Was just thinking the same thing re: baggage. I’ve run into more than a few people who reject out-of-hand any game pitch that is connected to the WoD, no matter how much you tell them the nWoD is different. If we spot anything, is there somewhere we should mention it? ‘cuz the columns in the vehicle table are shuffled. On the bright side, I’ll no longer have to deal with players who justify doing questionable things by claiming its “a world of darkness.” For that alone, I’m happy with the name change. So in a “Chronicle of Darkness,” said questionable things will no longer happen? lol. Okay. This is still a game with Vampires, Werewolves, Demons, and Slashers. I’d hate to play in a game that shied away from that. Same thing on the creative level. We have had ideas in the past that ran up against WoD expectations that we can now explore. They still might not be right, but we can make that call based on what we are working on, not expectations based on how the setting started as. Could you give a couple of examples of expectations that got in the way back when it was the nWoD, but won’t anymore now that it’s the ChroD? Not really comfortable doing that, no. Generally, telling folks what didn’t happen invariable leads to some folks feeling like they missed out on something. Not really good for us if that is the result. Fair enough. I was thinking more along the lines of “what can We anticipate now that you couldn’t do before?” But I understand your concerns. ChroD might be the best shorthand I’ve seen. It’s pronounceable but not a fish or symptom of an illness. Although it sounds like the name of an ork, or other barbarian. Nothing to say but thank god(machine). Best of luck with all future endeavours in the chronicles of darkness. I have to admit I don’t love the name. it’s too close and too far? doesn’t role off my tongue? Even if I don’t love the name a rose by any other name… and all that. Maybe it’s more fitting, even implying that it’s not a cohesive “World”. Which is a persistent message throughout the books, this is your story not ours, your world not ours. Now I have to ask, any chance for a Chronicles of Darkness video game? gives me another thought that I can’t imagine them doing, but maybe you could suggest. Talk them into license “Chronicles” as a name that could be licensed to other video game publishers as well. As Chronicles has no cannon. Every story could start with something like “this is a rumor” or some other statement that explains that the universe isn’t “canon”. All in all I think the change is a good thing, it is definitely an improvement branding wise. Are these change going to be retrograded to nWoD 1? will that still be published? I will continue to eat your CoD fish, I do hope that the other names don’t have to be changed. Will this affect the decision making progress regarding the lines still in 1st Edition? Specifically Mummy and Geist? Does this lower or raise the chances of them happening? That’s good to hear. More leeway – more creative space – is always a good thing when such talented writers are involved. Also, I can keep my fingers crossed for Mummy 2nd Edition – or Mummy: The [insert antagonist] Chronicles. Wow, this is great news. Countless times, we’ve had to explain to confused gamers what the Old and new World of Darkness is and what is constitutes. And also reassures that the Chronicles of Darkness games are sticking around. Very, very releaved. All the puzzle pieces now fall into place, and the Chronicle of Darkness sounds snappy. Time to update my manuscripts. Not the news I was excepting but cool just the same. I think this is a good idea. So, every book get a different rule and universe? or they will remain working as one cenario? can i mix then without problem? Chronicles of Darkness is a name change for nWoD. Our philosophy for creating those game lines remains the same. You will be able to mix away, same as before. I know you might not be at liberty to answer this, Rich, but will this affect your staffing at all? What I mean is, will this free up more writers and editors to work on CoD supplements? And will WoD20 still proceed at the pace it’s been going? Also, are you still accepting submissions from aspiring freelancers, or is there a moratorium until things get properly squared away? Really not expecting any changes in that way. We’re making some changes, but that’s more about us tightening up a few internal processes, and some life changes that inevitably happen over time with our freelance gang. So, yes, we are always looking for new creators to submit. Thanks! Thanks for the prompt reply! I’ll put something together then. For all the hubbub about the name change, I wanna add that the BOOK itself is really rather wonderful! I have just ‘flipped through’ it (such as one may do with a PDF, right? ), and i have read the introduction and few tidbits here and there. Needless to say, I already like it, and I’m looking forward to many years of continued enjoyment. Besides the name change what other changes will there be and when can we expect a physical copy? The content bullet points are listed on the DTRPG page, and the general process we use is a couple of weeks where we let the Advance PDF purchasers look it over and offer errata, then a week or so to pull that together and input it, and a week or so to get the PoD proofs and OK them. So about 5-6 weeks. Is this going to delay/alter Dark Eras in any way? It’s all ready in a somewhat unique place, straddling the middle ground between 1e and 2e. To be honest, I was sort of looking forward to it as a capstone of my 1e collection. Is it feasible/desirable to have a very brief sidebar in the introduction explaining the situation and leave it at that? I’m hoping that any solution doesn’t have to be elaborate or drawn out. It will be sitting on the shelf next to all my WoD branded books anyhow. That aside, I can see this change being really good for you folks, and I’m pleased to hear that it will mean even more creative freedom for you. Another interesting twist in the annals of RPG history! I absolutely understand why you should brand Dark Eras as a Chronicles of Darkness book, in any case. My only real (kneejerk but still vaguely meaningful) worry was that it might push the book even further back to try to align as strongly as possible with overtly CofD branded (2e) books. Looking at it with a cooler, less rapidly spinning head, I see that as unlikely given how far along both Dark Eras books are. Please pardon my ill-conceived paranoia. Looking forward to seeing where the path winds next. I don’t _think_ so, but as soon as I state it as fact one if the Devs will come along tò explain how I’m wrong, so let’s just say it’s unlikely to affect DE and let the paranoia pass together. I kinda dislike the name, as CofD sorta sound like a ripoff of WoD, such as the Vampire: Undeath games and it’s ilk. It’s like… what you would call it, since the world of darkness name is already taken. Whatever, I don’t care hugely either way, I’m just happy that you will keep publishing awesome games 🙂 Can’t wait for Mage 2nd and everything that follows. Rich, you’ve been through a heck of a lot in the last several years, and you and the cabal of great people you helped assemble played a major factor in keeping several game lines alive and vibrant. It sounds like this is a change that gives new stability to Onyx Path and the people who write for and work on the phenomenal games you all put out. So, consider this a virtual toast of well wishes for the future. We’ll keep playing the games, and I’m really glad to hear the folks we’ve come to respect and enjoy have the opportunity to keep making them. So when do we get this book if we pledged for it through Kickstarter? Great news! I like the new name but would have accepted almost any name as long as it allows the Path to continue releasing awesome books for the nWO… Chronicles of Darkness. And now on to DriveThruRPG! Chronicles of Darkness certainly feels a better fit for the new World of Darkness. Almost feels like one of those “Why didn’t we name it this in the first place” kind of thing, but I understand it was probably easier to call it “new World of Darkness” when it was just getting started, plus with the similarities between the two… Though I still have to do a double take whenever I see a tweet from a Blizzard employee who use WoD to refer to Warlords of Draenor. You’re rebranding it but you go back to the nWoD core cover-art? Why can’t you use the cover for the God-machine chronicle? That seems backwards to me, especially considering that the god-machine is still a major part of CoD. :S And, this is purely subjective but still, the God-machine cover was just a much better cover. It was much more striking and mysterious. It illustrated the themes and the feel of the game way better than this cover. Wow… Now I feel like a dumbass. That’s just perfect. Forget I said anything, I love this cover. So, the broader announcements from White Wolf mentioned some changes in LARP, does this mean we might get to see some dedicated Chronicles of Darkness Live Action? Onyx Path still only licenses tabletop. If WWP decides to do something with CofD LARP, it won’t be from us. I just thought of something. Now with the new name, Chronicles of Darkness. Are you considering rebranding VtR, WtF and all the other 2nd edition games to their original titles? The Blood & Smoke chronicle and so forth. I’m gonna guess no, right? We always intended them to be second editions. We’re not going back on that. So I’m guessing the Prestige Edition of Beast will bear the new branding? Or was that printing already in the pipeline when the decision was made? Yes, it will. Nope, we can change it and will. Thanks! Just wanted to add another post expressing satisfaction with this resolution to Paradox’s plans. A name is a name, but the gamelines themselves are much more important. I also still love the simple cover design for the new rulebook. The little hint of the iconic eye-polygon from the God-Machine Chronicle, in the background of the even more iconic man walking down the dark street, comes together so well. 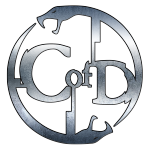 As a side note, it’s interesting that the CofD symbol is two snakes, rather than an ouroboros. But yes, this means the WoD 2nd Edition buttons we handed out at Gen Con are now the only public manifestation of the two-snake ouroboros with “WoD” in the middle. They were already collectors’ items, but now doubly-so. Yes, change can be scary, but we all came here for horror so this is just par for the course! I actually really like the name change, as both names show what they’re focused on. World of Darkness (cWoD) focuses on the world itself with the metaplot. Chronicles of Darkness focuses on the stories of the characters, rather than having a metaplot. So I’m in full support of the name change, even if it’ll take some getting used to. So I now regret pledging money for the nwod2e book as part of the dark eras ks. I’m now in a position where the book is out there at a cost not significantly different from what I added, and I don’t own it. This is not an end of the world scenario, but I’m disappointed. And basically, I’m not ever likely to add anything to a basic pledge again. Your add-on saves you 25% of the cost of the PDF, that’s a significant savings for a new product. You don’t own it because it’s not finished. I was going to wait until all corrections were in, but some of your fellow backers have convinced me to do it next week. These are pretty extraordinary circumstances with this particular book, such that they are unlikely to happen again – sorry if that caused offense. I like the name ‘Chronicles of Darkness’. Excellent move to make the distinction between the two worlds easier. Huh. I dig the new name. Although given the nature of the other gamelines, you can’t really separate yourself completely from cWoD. Vampire: The Requiem is still about Vampires trying to deal with new monstrous instincts and moving about in the Vampire underworld just like in Vampire: The Masquerade, even if the finer details are completely. Sentiment is still appreciated all the same. So are MtAw2 and PtC going to be released with the CoD brand as well? I’m very happy with this news, and making the names distinct makes a huge amount of sense now that the plan is to move forward with both worlds. (Or one world and one set of chronicles.) OPP has done a great job with fnWoD, and I’m looking forward to what happens next. After last Monday’s meeting notes, I was anticipating Mage 2nd edition this week. But this cool too. I think “Chronicles” helps reinforce the idea that the books provide an open-ended collection of stories, rather than an encyclopedia of gospel. When each text is but one warped window into Darkness, inconsistencies (such as house rules, settings hacks or ad hoc templates) are valid clues in the ever-stranger mystery. My only gripe is that now the title is one of those singular/plural in-between cases. “Chronicles of Darkness is” will just take some getting used to, I guess. I’ll be sad to see it go. Well remember, it’s not actually going away. It’ll just only apply to the classic World of Darkness games rather than the new ones. it really was always crying out for its own name. …shame the acronym is CoD, though. that’s a little heavy in the gaming space. As per the symbol at the end of the blog post, it’s “CofD”. So very happy for Onyx Path, all of the fans, all of the freelancers. Thank you all so much. The World and Chronicles of Darkness have brought so much fun and joy to me and my friends. The kickstarters have been phenomenal. Will their be any chance of a proper LARP version of the CoD rules? Or are those rights still elsewhere? We only have the license for tabletop material, sorry. I have been waiting to have the updated rules compiled into a new book! I really like the atmosphere of nWoD and the God-Machine rule modifications really made the system hum. One question: will there be only one format for the printed book, or will there be options like “premium” or “standard”, “hardcover” or “softcover”, and “color” or “black and white”? So how is this going to affect Vampire: The Masquerade 4th Edition. Will it stay loyal to the cWOD or will the nWOD have an effect on it. im happy for you guys! Keep making Nwo.. er,I mean CoD awesome! 2ed deserves a lot of good books, so keep doing what you are doing! I’m glad this name change is happening. It will help clear up some confusion and doesn’t require any actual content changes. It also relieves one fear about the “One World of Darkness” advert. Now if only we could have some concrete information about what WILL happen to our beloved gamelines. Is there any chance of OP releasing a rules amendment to reflect the differences/new additions from God-Machine to CoD? I’m torn on whether or not to purchase the new book or God-Machine Chronicle, and from what it looks like they are very similar, excluding a few minor alterations to the rules. Honestly, you’d be better off buying the CoD book – it has everything in the GMC book plus new material. That and the CoD corebook, like all the nWod/CoD second edition corebooks, is standalone, so you can run a game just using that. The GMC book is NOT standalone, and requires that you also have the nWoD first edition book to run your games. The extra $2 CoD costs over GMC is definitely worth it. Cool. Thank you for the advice. I saw this released for sale and was immediately interested, but unsure if it was a good idea. Appreciated! So… We Can look forward to new CoD Pieces? Sorry if this was already raised. I bought an advance copy of the new rule book. When can I get my copy in DrivethruRpg? Will we need this new book to continue playing the 2nd ed game lines that you’re working out, or does the god machine chronicle and the 2nd core rules (when its released) cover that.. Or is this new book the actual 2nd ed core rules? So who decided on the new name: OPP or WWP? We worked together on solving the problem, and once decided we went back and forth on the name with ideas until we found something we liked. I am a store owner in Michigan and I would like to carry these products, do you have any distribution methods or distributors?